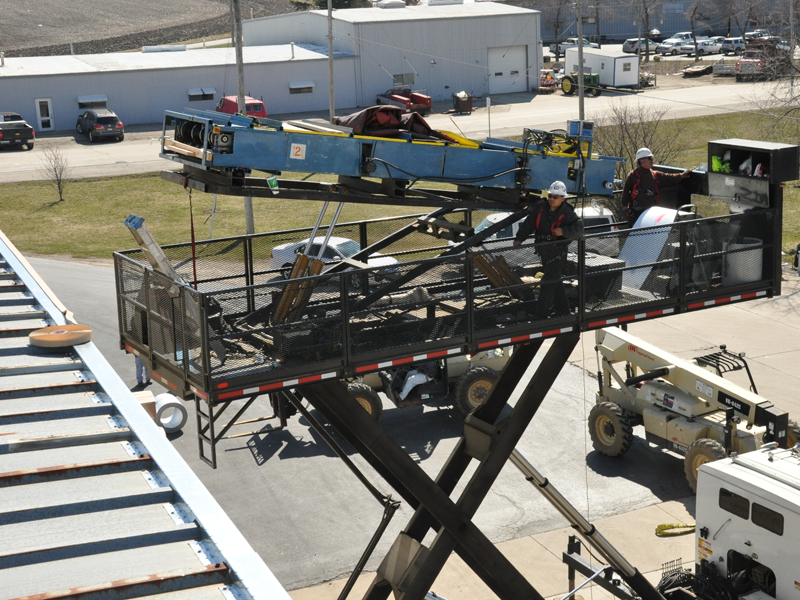 Rollform up to 200’ long panels right onto the roof using McElroy Metal's jobsite production equipment. 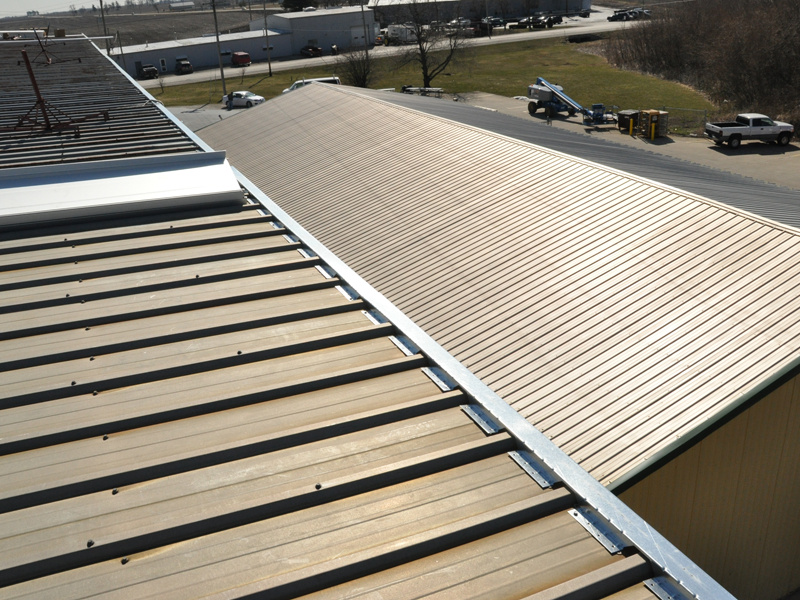 Continuous length panels from eave to ridge improve weather tightness and reduce jobsite labor. Also, architects shouldn't limit their designs based on manufacturing and delivery capabilities. 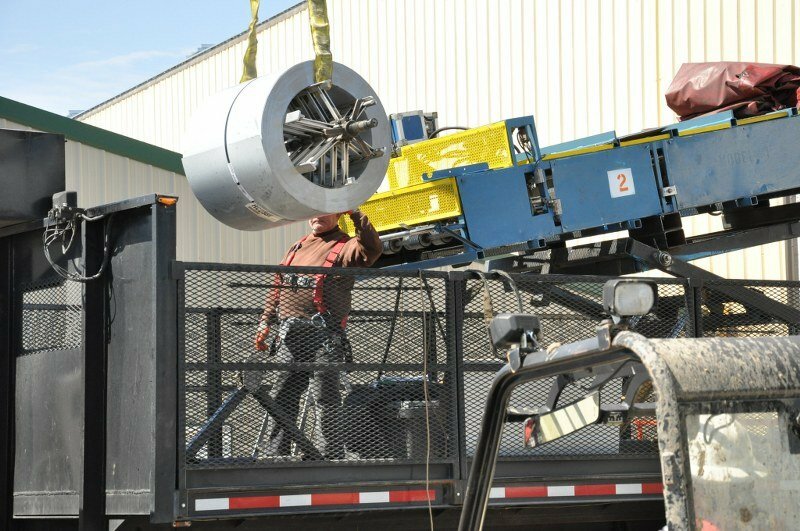 Jobsite production equipment is operated by McElroy Metal rollforming technicians, who bring our rollforming equipment to your jobsite locations. McElroy Metal offers two distinct options for on-site forming. High Roller, housed in Houston, features a scissor lift that is capable of reaching eave heights up to 30 feet and slopes up to 5:12. 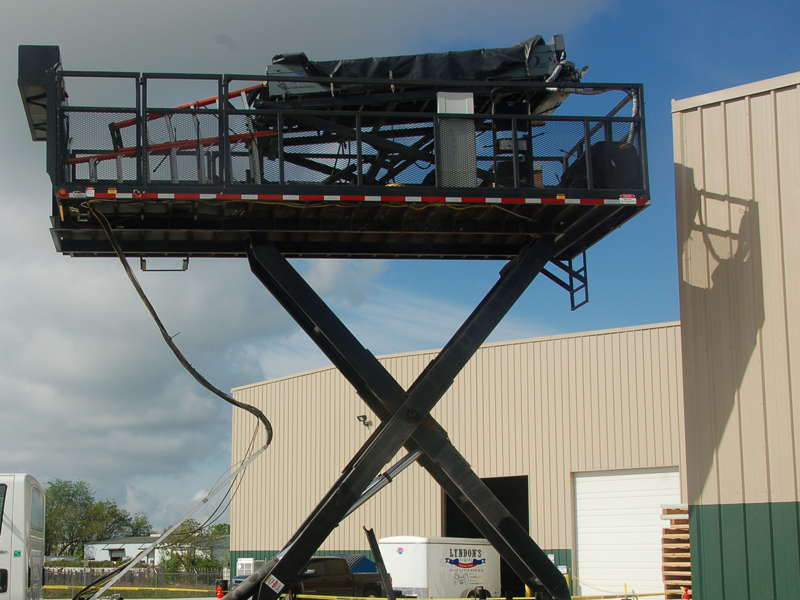 McElroy also has other jobsite productions systems that feature rollformers with lifting platforms. 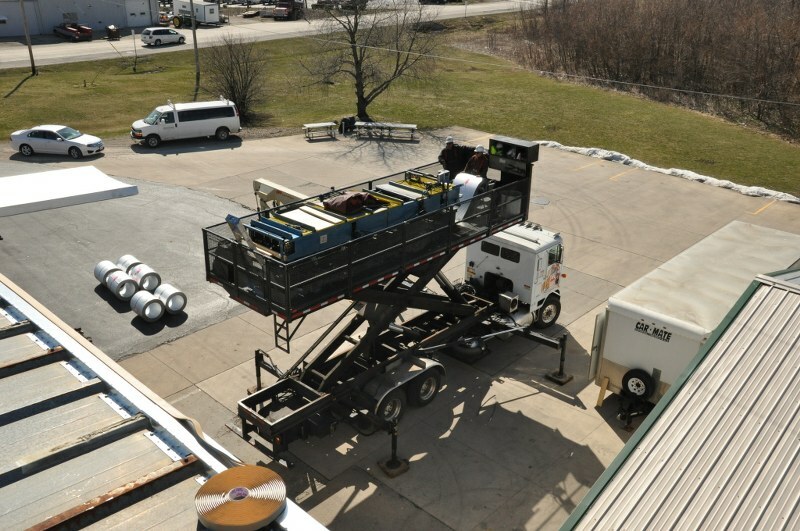 The rollformers and platforms are hoisted to the roof or eave with jobsite forklifts (provided by customer). 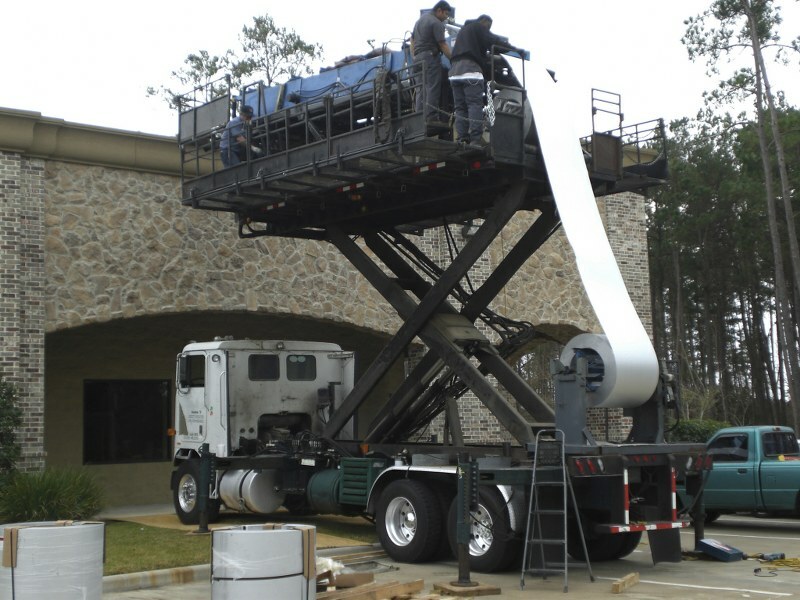 These jobsite production systems offer greater flexibility and are easier to maneuver than the scissor lift system. McElroy will reserve jobsite production equipment for your projected installation dates and have machine, materials and forming technician on-site as instructed. McElroy will also provide a detailed analysis of all applicable costs associated with jobsite rollforming so there are no surprises at any point of the project. 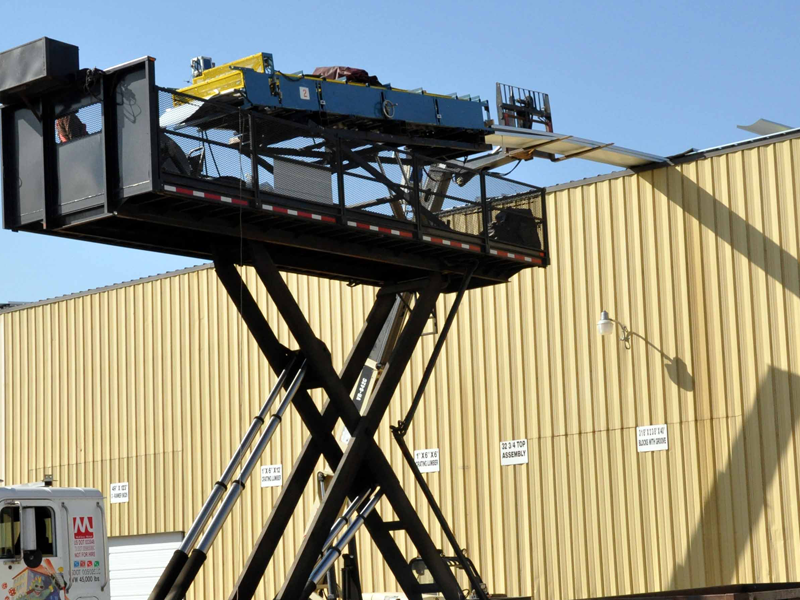 Customers provide forklift or crane and operators in addition to one laborer per 15' of rolled panel. Contact your McElroy Representative for compete details regarding onsite rollforming.